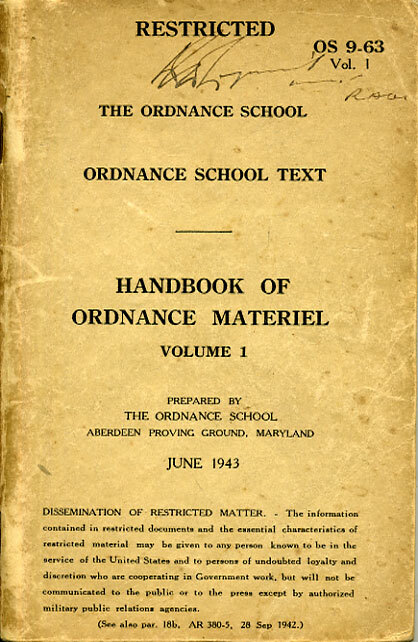 Scarce original reference manual prepared by the Ordnance School at Aberdeen Proving Ground, Marylan, USA. 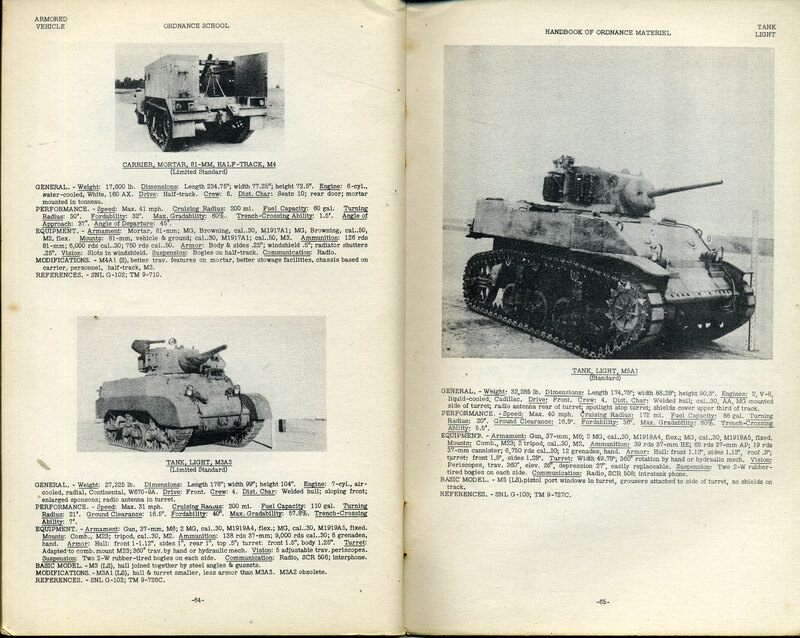 Dated June 1943. 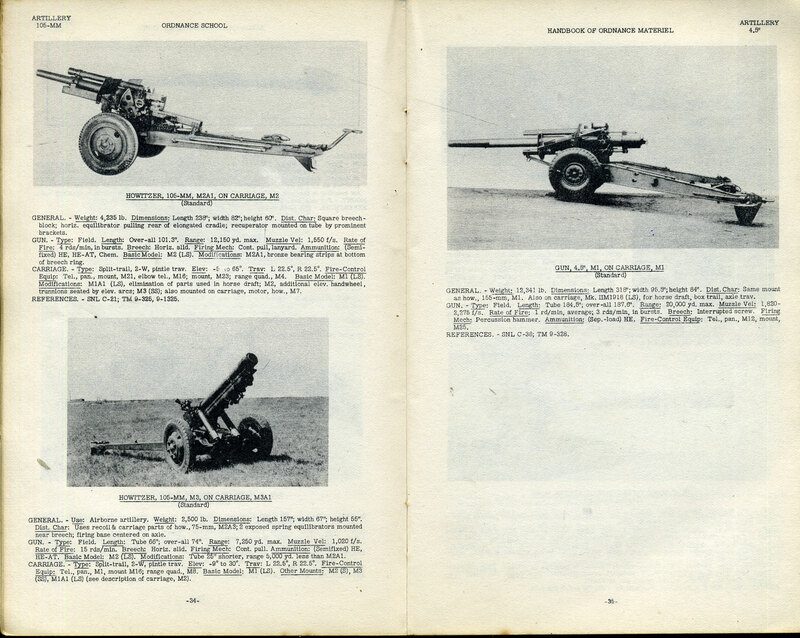 Volume 1 includes all small arms, artillery, flare pistols, and armoured vehicles in use at that time. 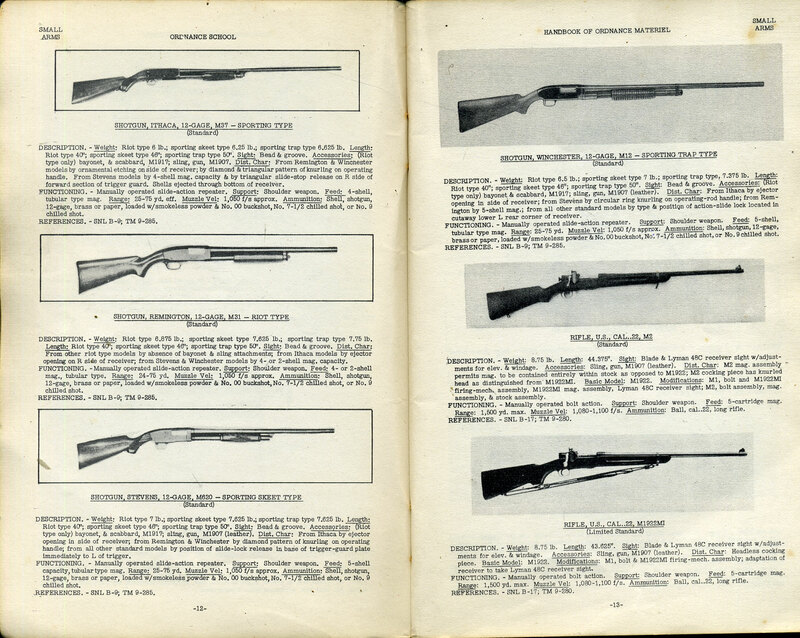 Original item. 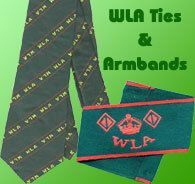 Photo shows actual item that will be despatched.